The ACT Extreme Weather session ran from May-December 2008, and focused on municipal adaptation, infrastructure, and public safety. 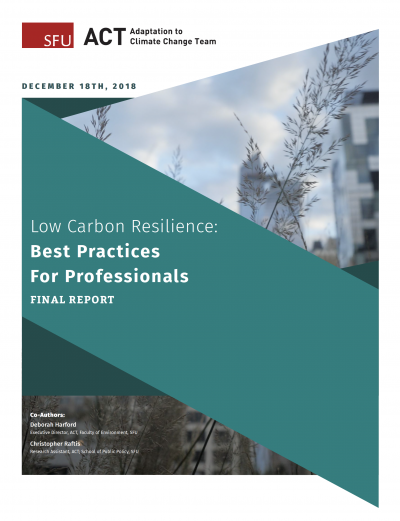 Zurich Canada partnered with BC’s Ministry of Environment to create this session; engineering firm AMEC funded publication and distribution of the report. Dr. Gordon McBean, one of Canada’s leading climate scientists and Policy Chair for the Institute for Catastrophic Loss Reduction, was ACT’s policy author for the Extreme Events session – findings were released September 9, 2009. On June 2-3, 2008, ACT hosted conferences titled Extreme Events: Municipalities Adapting to Climate Change in Vancouver BC. Participants explored the current and projected climate change impacts on municipalities, the current responses, and discussed the policy challenges associated with these impacts and responses. Speaker presentations and group discussions were captured in videos, which have been archived here for you. 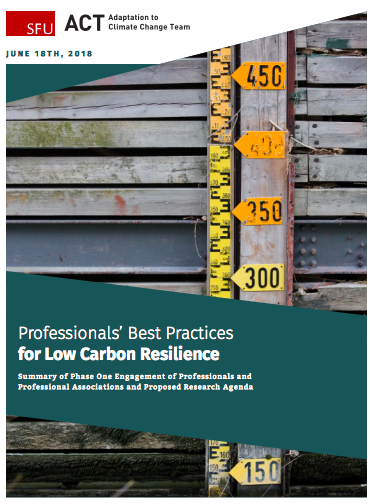 On October 17, 2008, ACT hosted Extreme Events: Adapting Infrastructure, where conference participants explored practical considerations, opportunities, motivations and constraints associated with climate change adaptation planning for infrastructure developers, managers and practitioners. We framed the workshop content in terms of best practices, discussed the legal and regulatory structures involved, and identified generalizable information that we can extrapolate for decision-makers. Cameron Ells, Cameron Ells Consulting Ltd.
Efrosini Drimoussis, CH2M Hill Canada Ltd.
On November 20, 2008, ACT and Imagine BC hosted International Climate Impacts and Responses and the Future for BC, held at the Morris J. Wosk Centre for Dialogue in Vancouver, BC. Climate Impacts and Public Safety was held at SFU Vancouver on November 21, 2008. The conference explored practical considerations, opportunities, motivations and constraints for emergency planners, industry practitioners, government and communities. The workshop was framed in terms of best practices, and participants discuss the legal and regulatory structures involved, and identified information that could be extrapolated for decision-makers.